Well, you guys already saw this Dayflower Cloth on Jan 22nd. 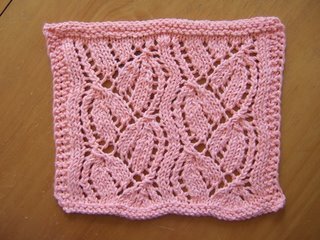 I finally got around to typing up the pattern. :-) It's the ubiquitous Dayflower pattern found it almost every stitch dictionary. 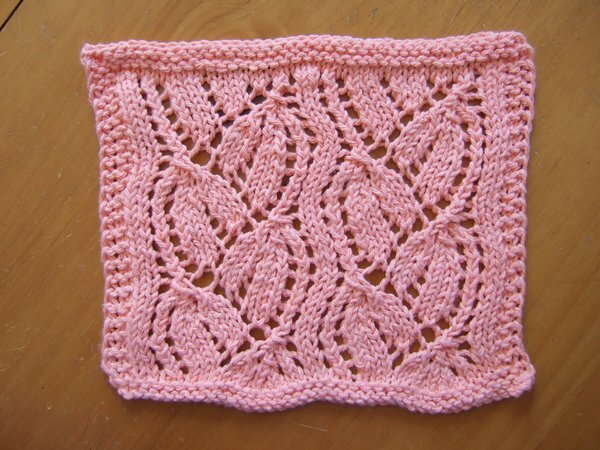 I think this pattern is beautiful, and I plan on making a scarf out of this someday. Of course with the limited "me" time I have it might very well happen after the next Ice Age, lol. 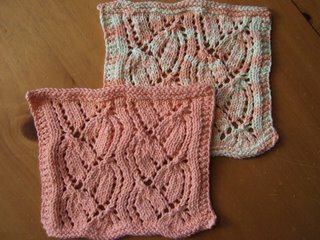 I've made afghans out of squares like this. You can crochet them together. Just a thought. 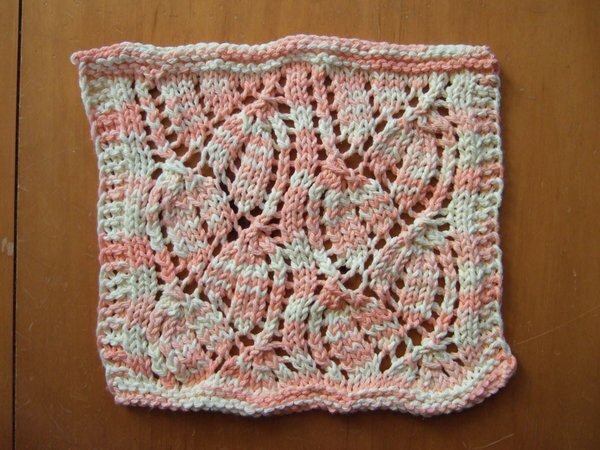 Hi, a friend sent me your site and all i can say is wow, I love your patterns. I am a 62 year old grandmother and widow, I have been crocheting since I was aout 14 but have always wanted to learn to knit and so about 4 months ago my best friend taught me the basics and now I am stetching out and trying out new stitches. I hope I can get only half as good as you are. Keep up the good work and thanks for sharing. 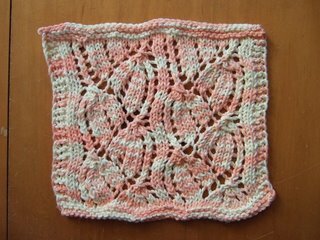 Marie, another pattern beautifully written and knitted. Please tell me how you find the time and sanity to express your talent this way! Keep it going, girl! I'm breaking out the cotton for this!! It looks great! I think it looks beautiful. Good going! I love your cloths so much and spend so much time here just reading your blog and looking at the pictures! You're just amazing! I was tagged today in my blog and asked to tell 5 secrets about me and then tag 5 other people to do the same. Guess what?